Moving into a house is an expensive time, especially when there are lots of things that need doing around the house and furniture that needs to be bought. Trying to do things on a budget can prove difficult but there is a way to save the pennies simply by taking your old furniture and transforming it into to something new and shiny. 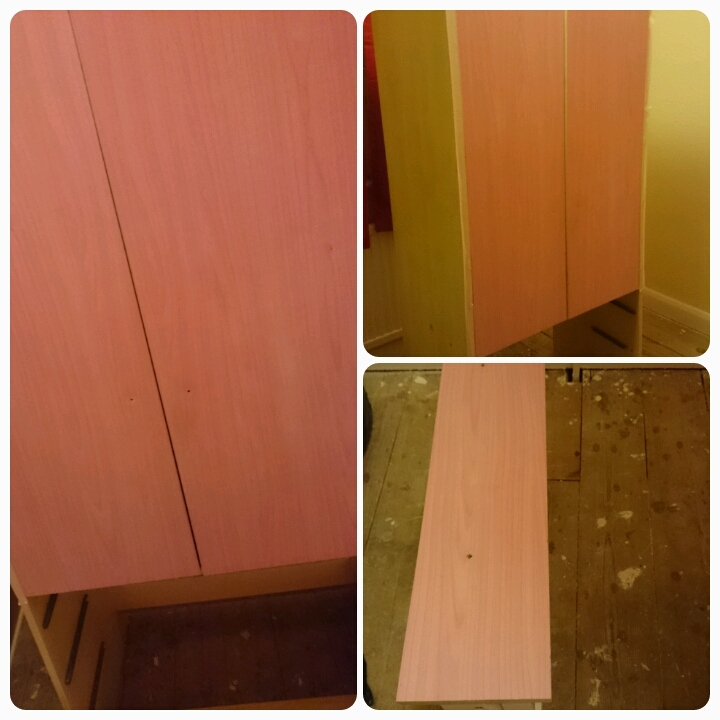 The latest project in our house was to get Elise's wardrobe painted, making it match in with the rest of her bedroom. Like in my previous post about changing the fire surround it was a fairly simple task. All you need is some sand paper, primer, a coloured paint of your choosing and brushes/rollers. 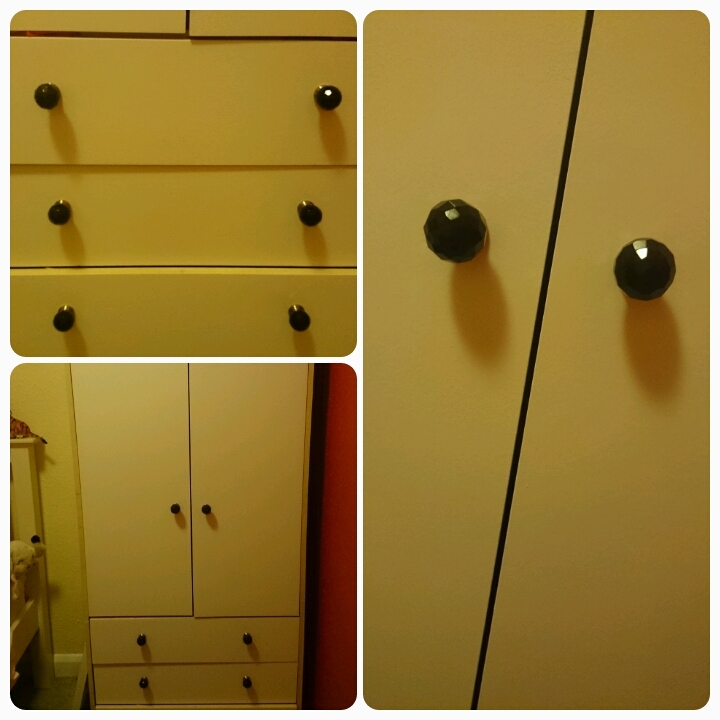 Start by taking out the drawers and taking the doors off their hinges and unscrewing all of the handles. Sand down each door and drawer and make sure to clean of any remaining dust/dirt. Put on two layers of primer, leaving around an hour inbetween doing each coat. Then it is time to put on the paint, we opted for white as the bed in room is also white. We chose to put on three coats of paint leaving atleast 12 hours between each coating. Finally to complete the makeover, we put on new handles, opting for a black crystal effect. This is something anyone can have a go at and it takes next to no time and minimal amount of money spent especially when you consider what a new wardrobe might cost you!! Love this! 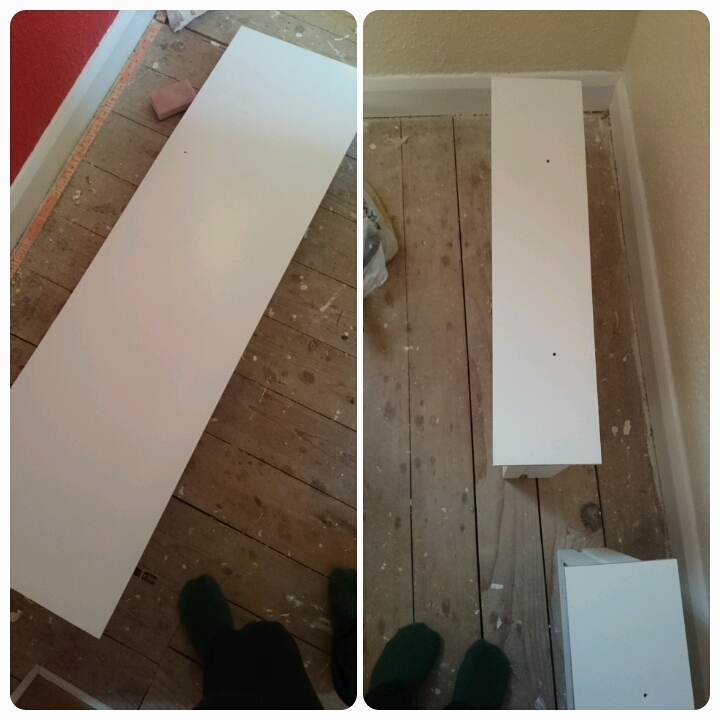 I will be doing an old dressing table soon hoping it turns out as good! Very pretty. It's so nice to complete it and step back to admire. Love the door knobs where are they from!